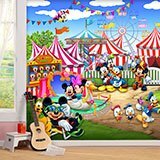 Wall mural Disney Amusement Park. 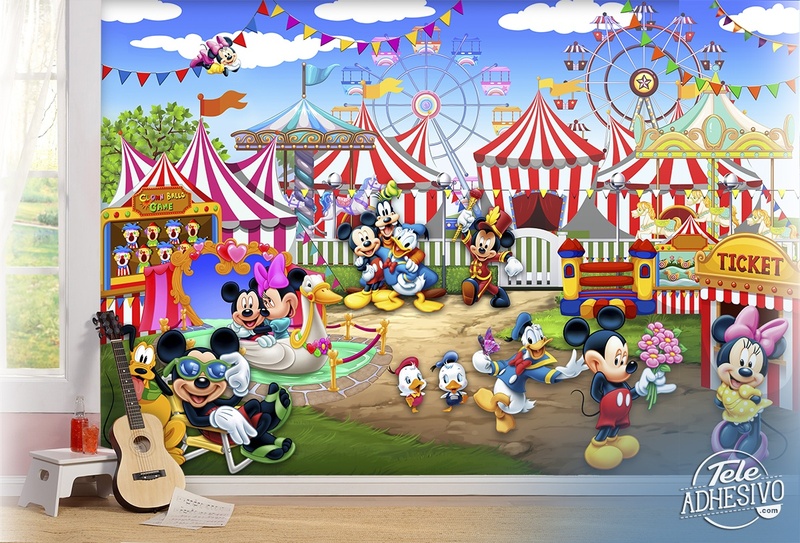 Fun mural of an amusement park with Mickey Mouse and his friends. 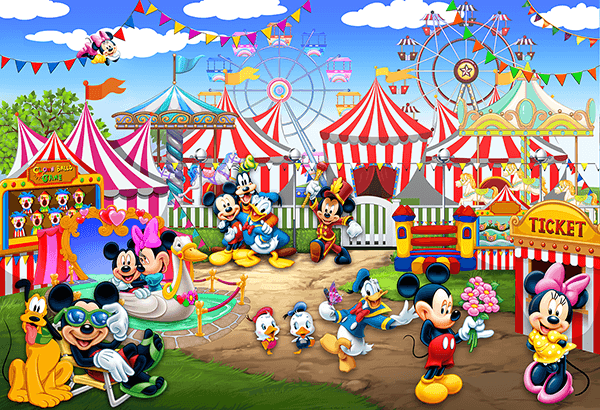 Minnie, Donald Duck, Goofy and Pluto can not miss this party. 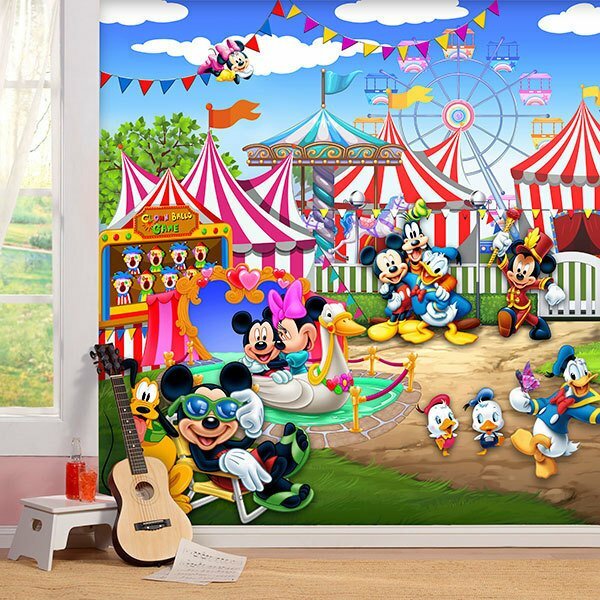 Ideal for the room of the smallest of the house, you will enjoy with all these Disney characters.